To get correct readings with ALTI & BARO mode, it is important to understand how Suunto Ambit2 calculates altitude and sea level air pressure. 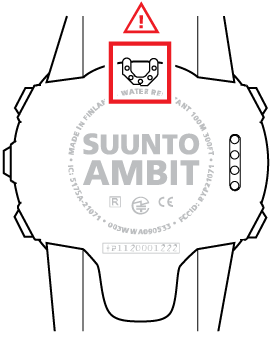 Suunto Ambit2 constantly measures absolute air pressure. Based on this measurement and reference values, it calculates altitude or sea level air pressure. Keep the area around the sensor free of dirt and sand. Never insert any objects into the sensor openings.